Home » »Unlabelled » SHANE & SHANE, CHRIS AUGUST Are Coming To Bartlesville, OK! 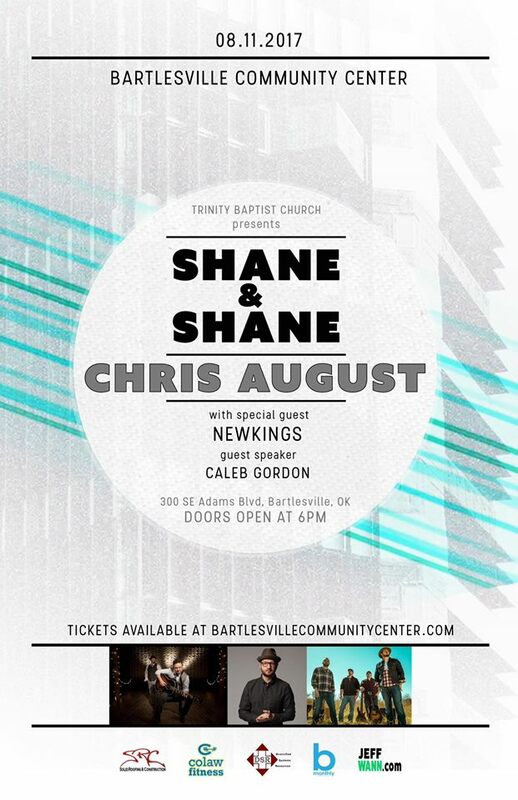 SHANE & SHANE, CHRIS AUGUST Are Coming To Bartlesville, OK! Friday, August 11, 2017, at the Bartlesville Community Center in Bartlesville, OKLAHOMA!